Cortisol is a steroid hormone produced in the adrenal glands that has many functions including, the metabolism of fats and sugars, and the management of stress. Cortisol levels are dependent on the release of the hormone adrenocorticotropic (ACTH) from the pituitary gland as well. Pregnancy, stress, physical injury, or infection can affect cortisol levels. A blood, urine, or saliva test may be ordered to test levels. Most cortisol binds to proteins with only a small amount considered biologically active, or “free cortisol”. While a blood test measures both protein-bound cortisol and free cortisol, a saliva or urine test only tests free cortisol levels. Cortisol in the blood is at its highest in the morning and lowest later in the day. A physician may advise the patient to refrain from strenuous activity the day preceding cortisol testing, and specify rest 30 minutes prior to the test. 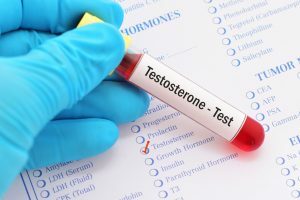 Certain medications, such as amphetamines, steroids, estrogen or oral contraceptives can alter test results. The cortisol hormone rises and falls in what’s known as a, “diurnal variation” pattern. Levels are highest in the early morning hours and decline throughout the day. By midnight cortisol levels are at their lowest. 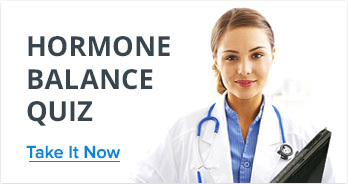 While the hormone is produced in the adrenal glands, it is actually regulated by the hypothalamus in the brain, and the pituitary gland. 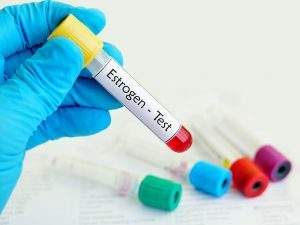 The timing of the cortisol test is critical since hormone levels vary widely throughout the day. A test may be ordered late in the day if overproduction of cortisol is suspected. 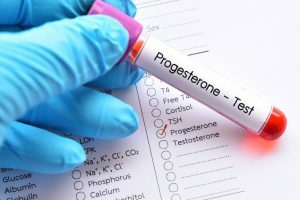 An early morning test may be administered if there is a likelihood of too little hormone production. 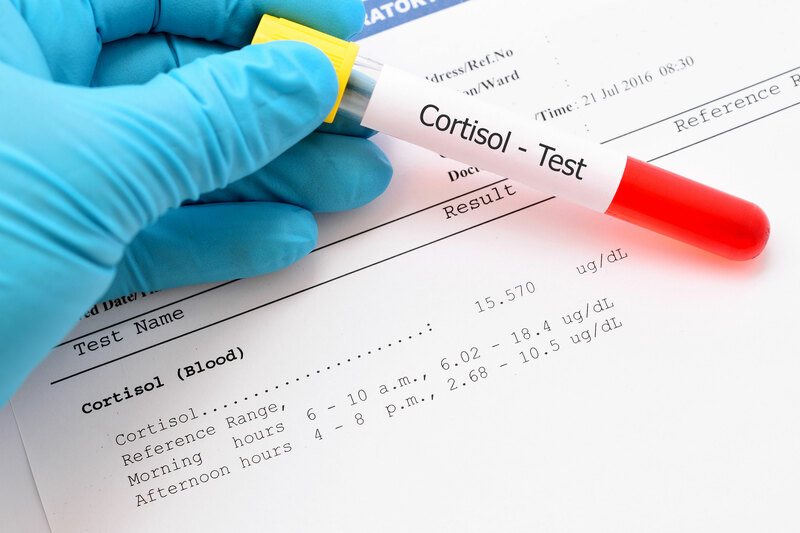 Specific tests for cortisol may be used to diagnose different conditions such as, the 24-hour urine test for Cushing’s syndrome, or the ACTH stimulation test for Addison’s disease. 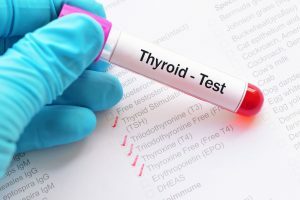 Other tests to determine proper pituitary or adrenal gland function include the ACTH stimulation test and the dexamethasone suppression test. High levels of cortisol could indicate Cushing’s syndrome, certain cancers, liver or kidney disease, depression, hyperthyroidism, obesity, pregnancy, or sepsis. Low cortisol levels may signify Addison’s disease, adrenal gland infection, pituitary gland cancer, or head injury. If initial findings are abnormal, suppression or stimulation testing may be ordered.